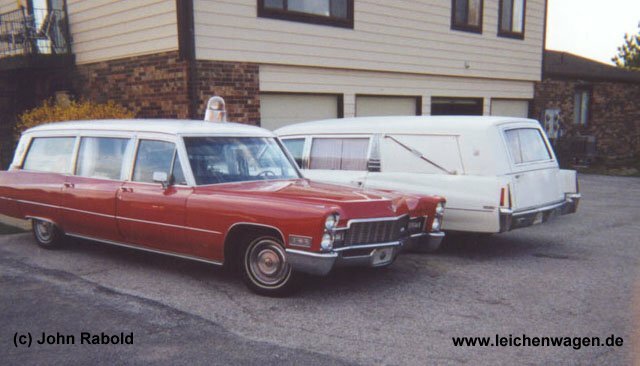 Here they are, the pictures of Cadillac hearses, amongst it my own hearse, named Hope! 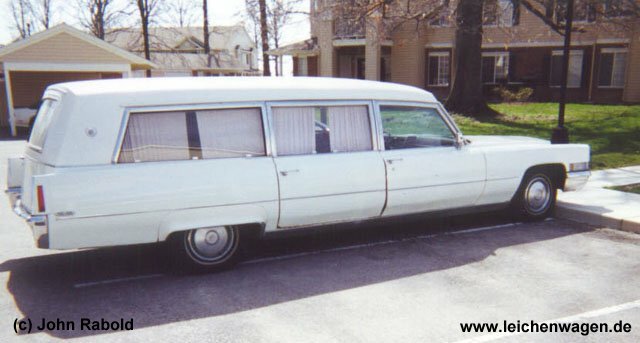 My own hearse, named Hope. Looking closely you can spot the stretcher (or how it is called). These are John's both Cadillacs next to each other. In the front there is the 1968 S&S, in the background the white car is the 1970 Miller-Meteor. Here is the 1970 Miller-Meteor combination in full size with the landau panels. 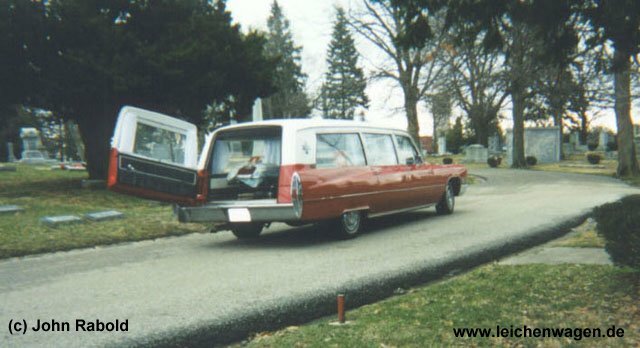 It is dressed as a hearse so to say. The same car without the landau panels. 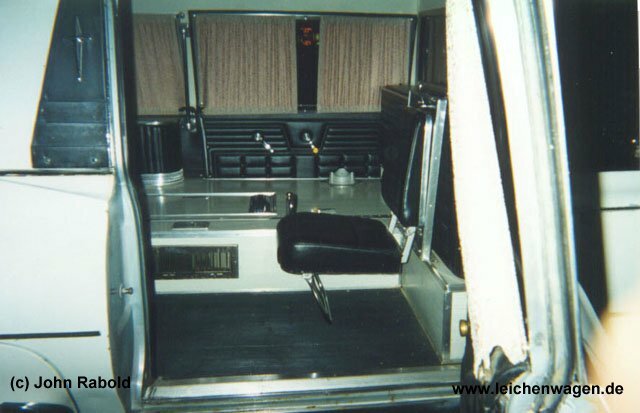 This picture shows the jump seats in the rear compartment. They are used when the car is operated as an ambulance to seat the doctors and other medical personnel. When they are not in use, they are folded down and the rear of the seat builds part of the floor of the rear compartment. 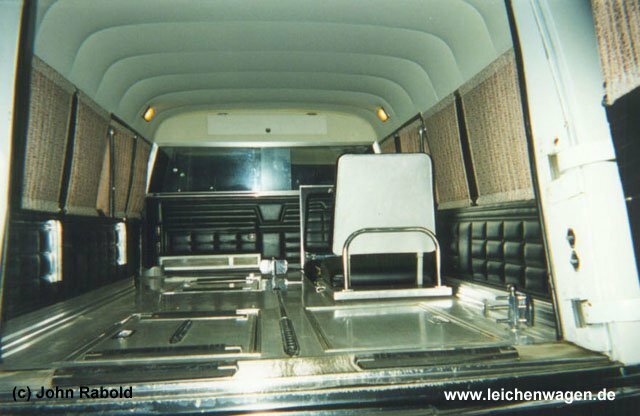 Another great shot of the rear compartment, seen from the tailgate towards the driver seat. One of the seats is folded up. 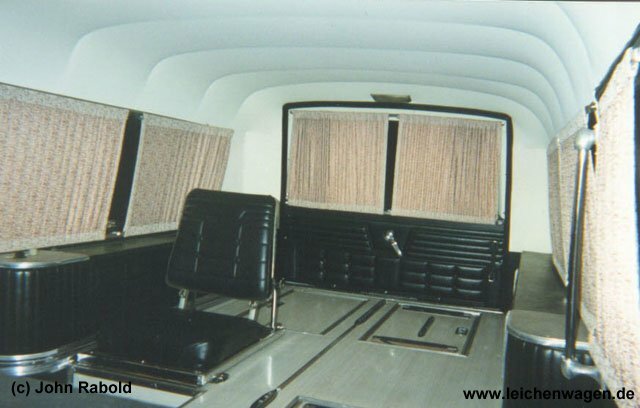 What you can also see (or better: cannot see) is, that the combination coach do not have the decorative lighting of the hearses, simply because they have windows where the hearses have a solid wall. The rear compartment, seen from front towards the rear.